There are a few kinds of people in this world. First, you've got your Tianas, Rabbits, and Princess Attas- y'know, the determined, diligent, and occasionally frazzled folks who just keep running and running until they hit empty... then keep on trucking! Typically on a mission of no small importance, these guys always have their eyes on the prize; whether it's a restaurant, a bumper crop of carrots, or the safety of an entire ant colony, none of these busy bees will stop 'til she (or he) gets it! They know what's important, and they do it. Luckily, there's another group in the Disney-verse that can help with that problem! Every Tiana has a Naveen, and every Rabbit, a Tigger. Though the jokesters and wise-guys of Disney sometimes get a bad rap, their happy-go-lucky attitudes can bring the balance that Mouse's workaholics need every once in a while. After all, working hard means playing hard, and since the busiest time of the year is just around the corner (yes, I am already pumped for the holidays and no, I don't have even a little bit of shame), what could be more apropos than some of Disney's most carefree characters stopping by to offer a few tips? He's cute, he's cuddly, and this "bear of little brain" doesn't sweat the small stuff... well, except heffalumps and woozles! (But can you blame him? Those suckers are quick and slick and insincere!) 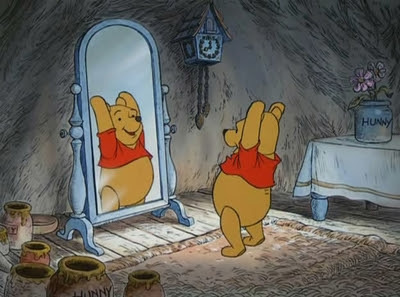 This silly old bear doesn't need much to be content; as long as he has his Hundred Acre crew and a small smackerel of honey, he's a hefty, happy, Pooh! Two words: Hakuna Matata. It's their motto! ("What's a motto?" "I dunno, what's a motto with you?!") That problem-free philosophy (aside from being terrifically catchy) is home to a pretty significant nugget of truth: you can't change the past... so don't worry about it! Well, unless you're running from your past... 'cause I hear that can get dicey. 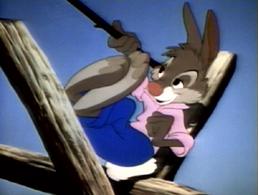 Br'er Rabbit's lack of discipline may get him into a trouble every once in a while, but he does what he likes, and that suits him! He doesn't pay any mind to that pesky Br'er Fox, and he certainly doesn't let him stop his fun (though he probably should)! I will give ten dollars to anyone who hasn't wanted to fly away to Neverland with Peter*. Why? Because, beside the fact that adulthood isn't always ice cream for breakfast and no bedtime, the boy who never grows up knows how to go adventuring! He'll hop from the Skull Rock to Mermaid Lagoon without a second thought, then cross blades with Captain Hook... just for fun! He is emboldened by his perpetual childhood, not yet burdened with fear or responsibility, and has nothing to do but play! While the rest of us don't have the luxury (or, maybe, curse) of eternal youth, we can still learn from Peter's playfulness (but a trip to Neverland would be nice, too!). 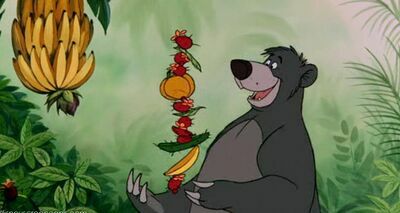 The bare necessities of life will come to you!" Are you more of a Tiana or a Tigger? I am most definitely the former... much to the chagrin of my sleep schedule!